At PurpleCV our mission is to help as many people as possible get over the first hurdle of applying for a job. We truly believe that a great CV opens doors for people, whatever their profession. Since 2013 we’ve made it our priority to ensure that no matter what industry or seniority, whoever comes to us looking for a CV leaves with exactly what they’re looking for. It all began in 2012 when our founder Andrew Arkley decided it was time to share his 15 years’ experience of the HR and recruitment industry. Having reviewed tens of thousands of CVs over his career, and being versed in UK employment law, Andrew knew a thing or two about how to write a great CV. Very quickly, word spread about our service and PurpleCV started to expand. Today, our team is comprised of qualified career coaches and counsellors, recruitment professionals and employment experts. Working in HR and recruitment gave Andrew first-hand experience of what to look for in a CV. However, all too often he was shocked to see the poor grammar, templated formatting and uninspiring content that filled many CVs. PurpleCV was born from the desire to provide a service that didn’t treat customers like templates but like individuals - and that’s exactly what we do. We take into account your skills, experience and qualifications to write a CV that is tailored to your sector and seniority. 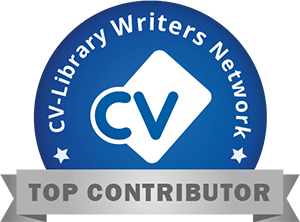 Writing a CV involves teamwork and our professional CV writers work with customers to write every CV from scratch. We understand that the job market moves fast which is why we offer a two-day turnaround and 12 months’ unlimited revisions on all CVs. If you’re really looking to stand out from the crowd our career experts can also write cover letters and LinkedIn profiles. We don’t think you should have to break the bank to get a great CV. All our prices are extremely competitive and we know you’ll be happy with the results, that’s why we offer a 100% Satisfaction Guarantee. You don’t just have to take our word for it, our excellent Trustpilot rating speaks for itself. If you’re looking to take the next step in your career, get in touch with us today and see how far your CV could take you! Andrew Arkley is the founder and senior writer of PurpleCV. With over 15 years’ experience in HR and recruitment at a senior level, Andrew knows precisely what it takes to land a job. He has personally reviewed countless CVs (over 10,000 and counting) and continues to use his expertise to help the team craft perfect CVs for our customers. Andrew has published articles on CV writing for magazines such as Marie Claire, and The Independent, and as an expert in the field is continually sharing his knowledge through online publications. Despite huge growth, since the company’s inception in 2013 Andrew remains committed to the company's ethos to provide affordable CVs for everyone no matter their experience or industry.